Assuming you are having a Skype video call with your close friend or loved family, the topic talked about is very touching and the atmosphere is warm-hearted. In order to keep this unforgettable moment forever for the future recall, you might want to select a best Skype video calls recording tool to capture it with high quality. There is no doubt that you can see numerous video captures on the Internet, but how to make a wise decision to pick up a easy-to-operate one from the wide scope? To make it easier for you, here we will briefly lead you to record your Skype video calls with one of the best Skype video recording software called Joyoshare Screen Recorder. What is Joyoshare Screen Recorder? Being good at capturing Skype video calls as well as any other screen video with high quality, Joyoshare Screen Recorder is proved one of the most professional video captures that adopted the most excellent screen recording technology. 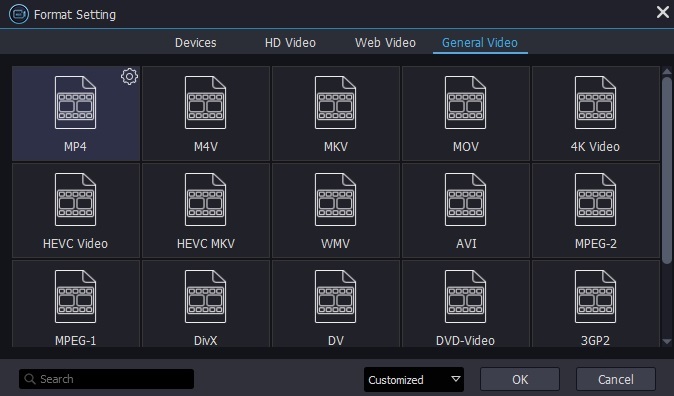 With this effective video capturing tool, any videos and audios play on your computer can be recorded with finest quality. What it can provides are capturing Skype video calls, recording any area on your desktop screen, making a vivid video tutorial, capturing games, taking screencasts, doing a music recording, etc. Joyoshare Screen Recorder consists of video recorder as well as audio capture which enable you to record the Skype video chats with audio simultaneously. With regard to a professional video capturing tool, it is well designed to permit you to output you Skype video calls with multiple formats, for example, HD MP4, AVI, FLV, SWF, WMV, MKV, MOV and other common formats, which simultaneously support various popular devices, like iPhone, Andriod, Xbox and smart TV. Moreover, audio recorder can let you make recording with MP3, AAC, WAV, FLAC, M4A and M4B. Essentially, Joyoshare Screen Recorder is equipped with accessible recording settings to bring you the best experience. You are able to make special Skype video calls flexibly with colorful options. What you can enjoy is to set up the screen capturing according to the way you like, take screenshots anytime, preset a scheduled task, close system video, select output format, etc. Of course, if you are fond of sharing your recording with others, you can upload it to YouTube directly. How to record Skype video calls with Joyoshare Screen Recorder? Straightly run Joyoshare Screen Recorder by simply clicking the icon on your desktop as long as you have finished the installation already. Clicking the "+" button in Capture Area section, a pop-up windows will be shown in sight, which is capable of adjusting the capturing area by yourself. You have right to enter a definite number to customize screen size or preset standard ratio by choosing 320x240, 640x480, 1280x720, full screen, etc. 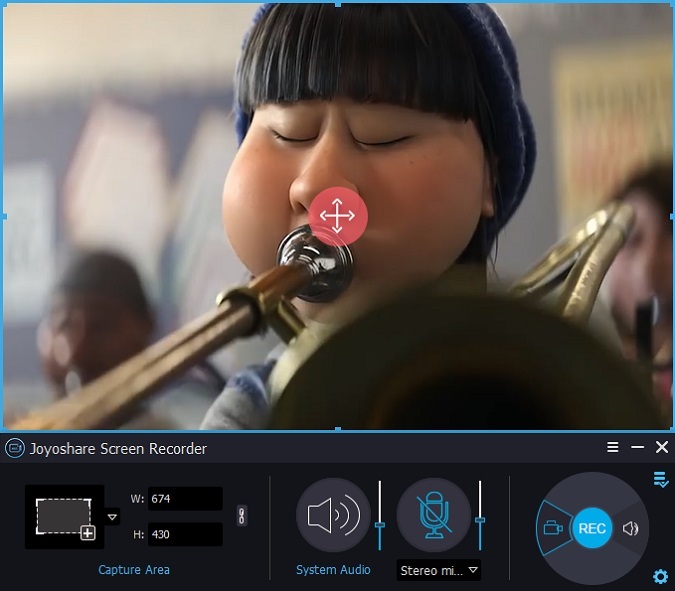 Joyoshare Screen Recorder enables you to decide whether to capture Skype video calls without system audio or microphone sound in case that you would like to close unwanted sounds. 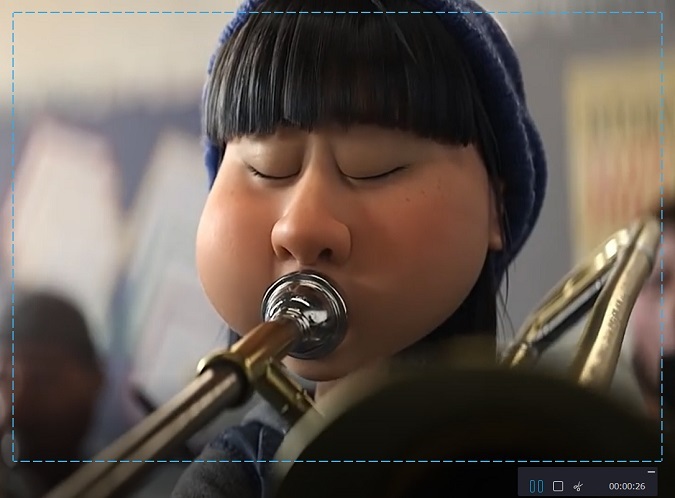 Considering you can keep not only Skype audio but also video at the same time, if there is no close of audio tracks, then you will get a captured file with both of them. Besides, it also allows you to choose different microphone speaker especially when you record Skype video calls. 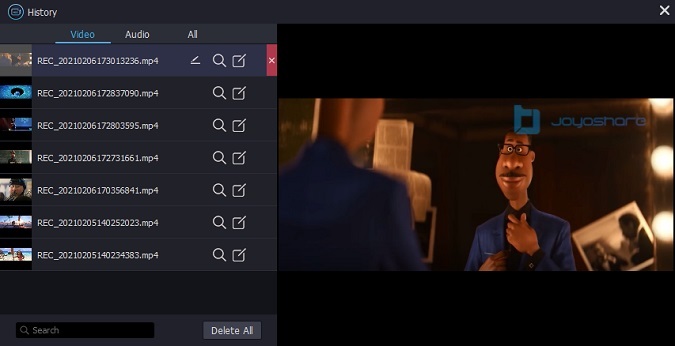 Note: Acting as an independent audio recorder, Joyoshare Screen Recorder can capture your computer sounds with the audio track icon that next to the red "REC". 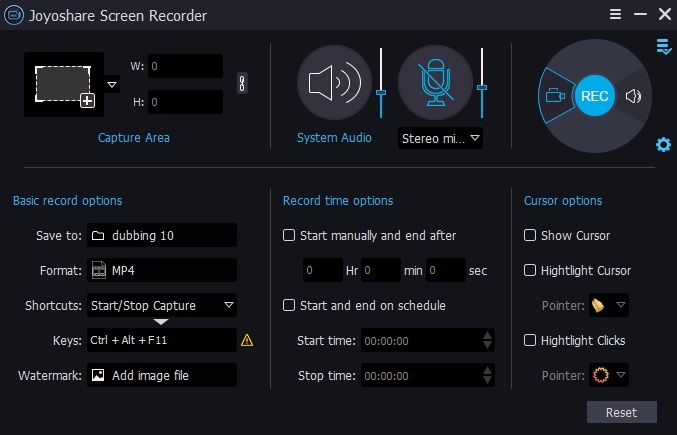 You can open up the recording options by clicking the "Settings" gear icon, which is made up of "Basic record options", "Record time options" and "Cursor options" so that you can choose output format, have screenshots, create a scheduled task, highlight cursors, etc. Open your Skype app and have a video call with one of your contact from friend list. Then it is time to capture Skype video call with just a click of "REC" button. Any screenshots can be preserved at any time during your recording process by using a cut tool. All captured Skype files will be stored at "History" list, locating any one so that you can preview and edit it. It is supportable of revising file name and changing the information of ID3 tag, like composer, year, title, album, etc. It seems that you are clear about how to capture your Skype video calls getting help from Joyoshare Screen Recorder. In addition to Skype online chats, it also records other videos and audios in highest quality, including desktop activities, webcam videos, webinars, games, streaming music, online movies, video conferences, and more. Nevertheless, only when you try it, you will truly know why it is so eye-catching. If you have interest in it, you can try a free version. For any problem or request regarding this recording tool, please don’t hesitate to share your thoughts in the comments.